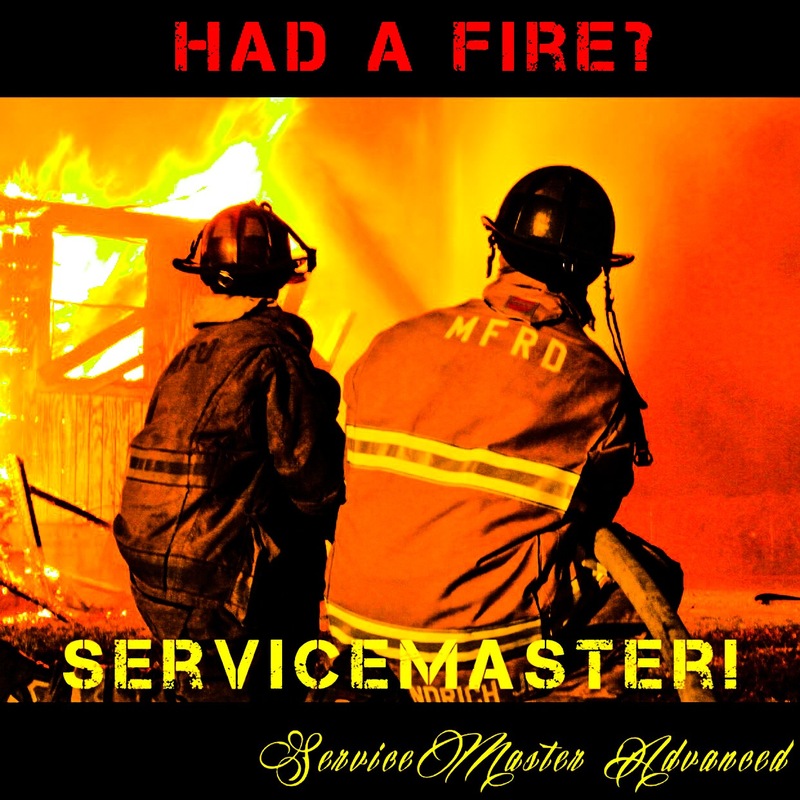 This is one of many articles we have posted to help the public in how to effectively handle a fire mitigation loss. 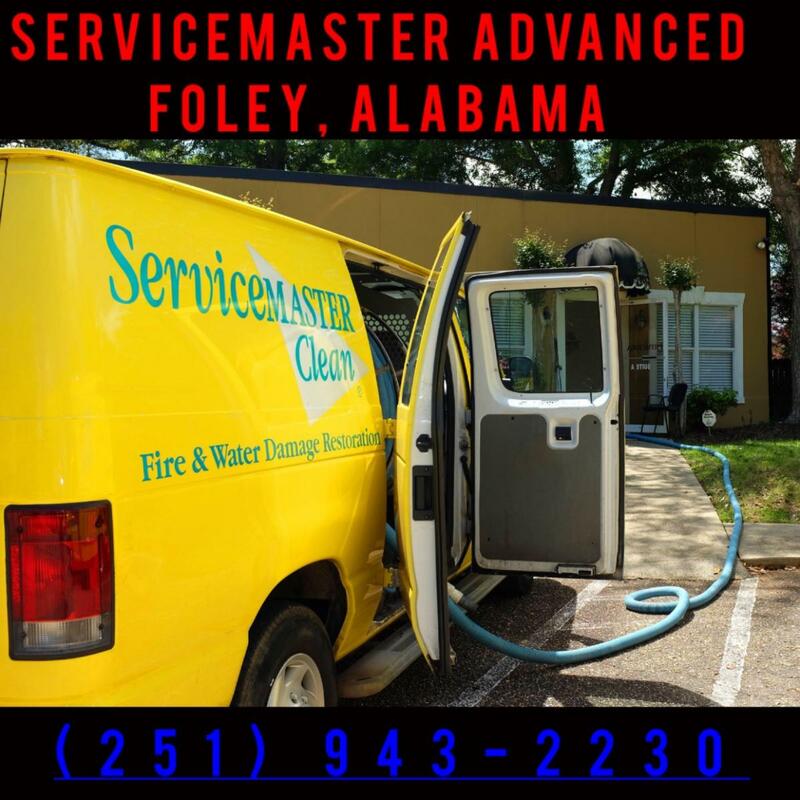 ServiceMaster, The Master of Disaster in Mobile, AL; Daphne, AL: Theodore, AL & Foley, AL has posted a series of these articles on our web site: http://www.servicemastermobilealabama.com. 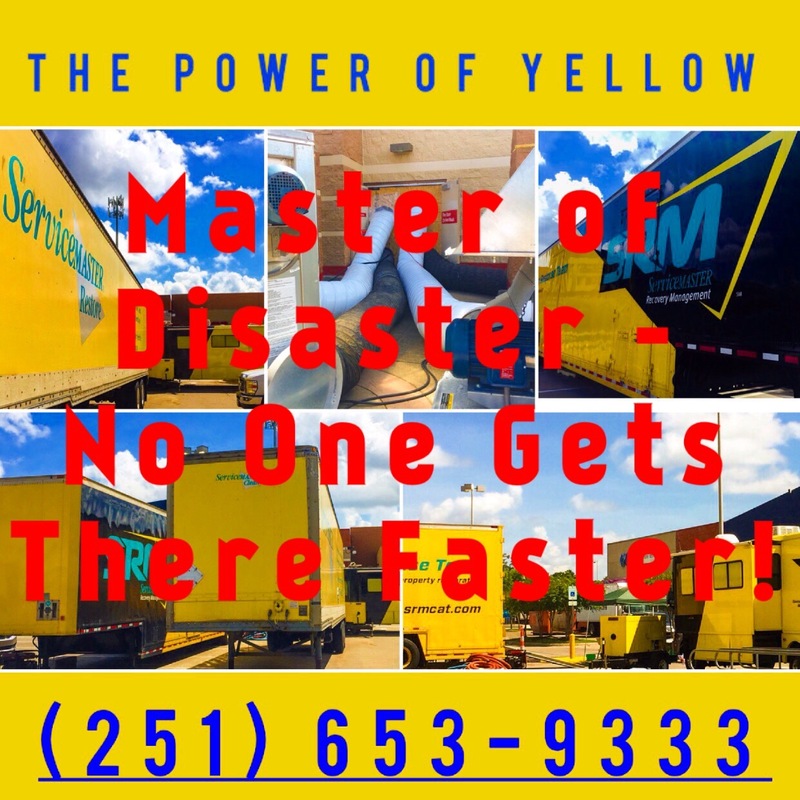 If you need help, please call us at (251) 653-9333 or (251) 928-1028 in Mobile or Baldwin County. 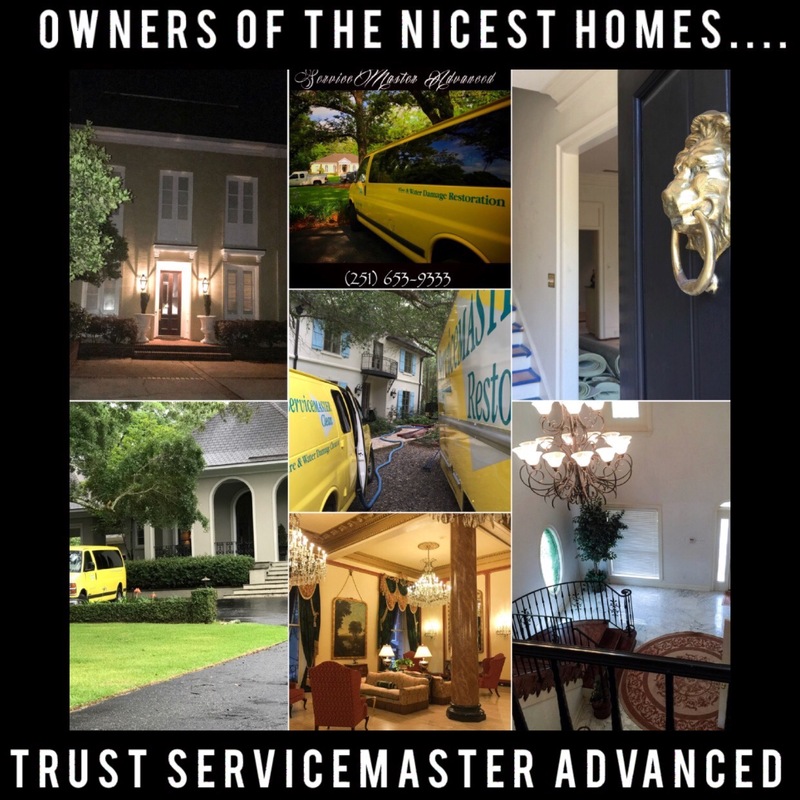 We would be honored to serve you. The chemistry of fire is a series of complex reactions, sometimes involving well over 100 chemical elements. The many different substances that can fuel a fire and the different resulting chemical reactions that take place mean that fires may be very different in their cause, their composition and their waste. Mitigation professionals must understand the chemistry of fire in order to react appropriately and to effectively restore the area. Fires are classified into two groups: Simple and complex. Simple fires result in complete combustion and are usually fueled by a relatively pure fuel, producing no soot and only small amounts of gasses, fumes and smoke. Complex fires, on the other half, are the result of incomplete combustion and are fueled by many materials, including those found in toys, carpets, furniture, clothing, plumbing, and bathroom equipment. 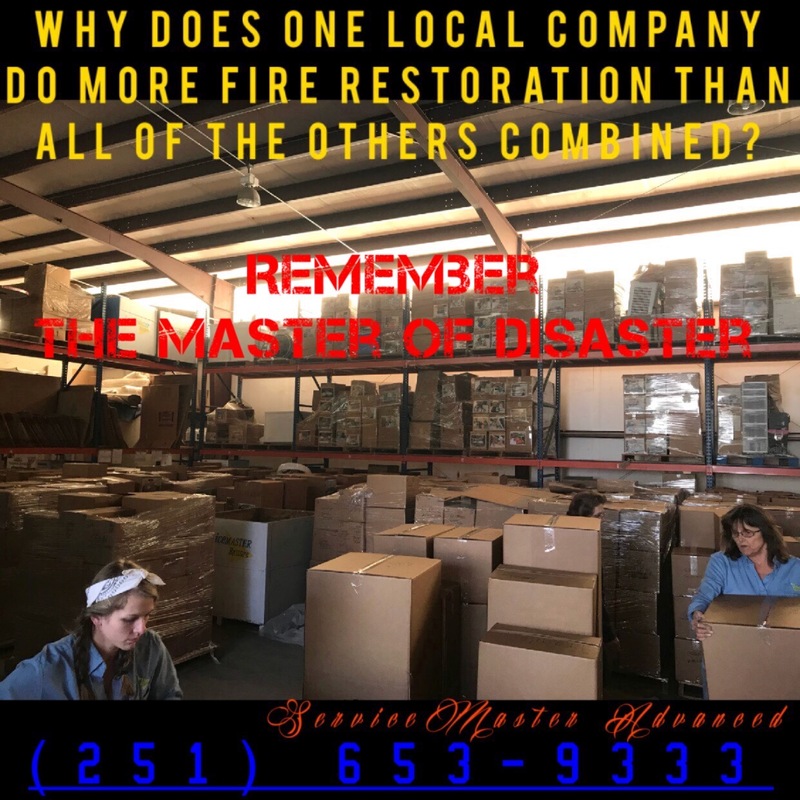 As complex fires cause the most damage and leave the most waste, they are usually those handled by disaster restoration professionals like ServiceMaster Clean. In a complex fire, the acid gasses combine with heat and water vapor and penetrate cracks and crevices, when the surfaces cool. The gasses from highly corrosive solutions. These solutions can permanently etch and stain many sensitive surfaces including machinery and tools, precision instruments, ad household appliances, plus marble, glass and aluminum surfaces. In addition, salts are produced when acids mix with metal and can cause further damage to a metal surface, like the corrosion on cars from salty snow and ice treatments. Another common product of fire is soot, which is comprised of carbon and other materials, that are completely burned or oxidized. Some soot particles are dry and can be vacuumed effectively, but most are combined with grease and oils and cannot be vacuumed, These situations require an alkaline solution that reacts with the oil or grease and releases particles, creating a water soluble product that can be washed away with water. 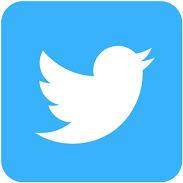 Other soot deposits depending on their chemical make-up and the surface on which they rest, may demand physical removal with a putty knife or similar instrument. Even though the chemistry of fires may vary, the most important thing is to dry out the area as soon as possible to avoid further damage caused by acids and contaminants. 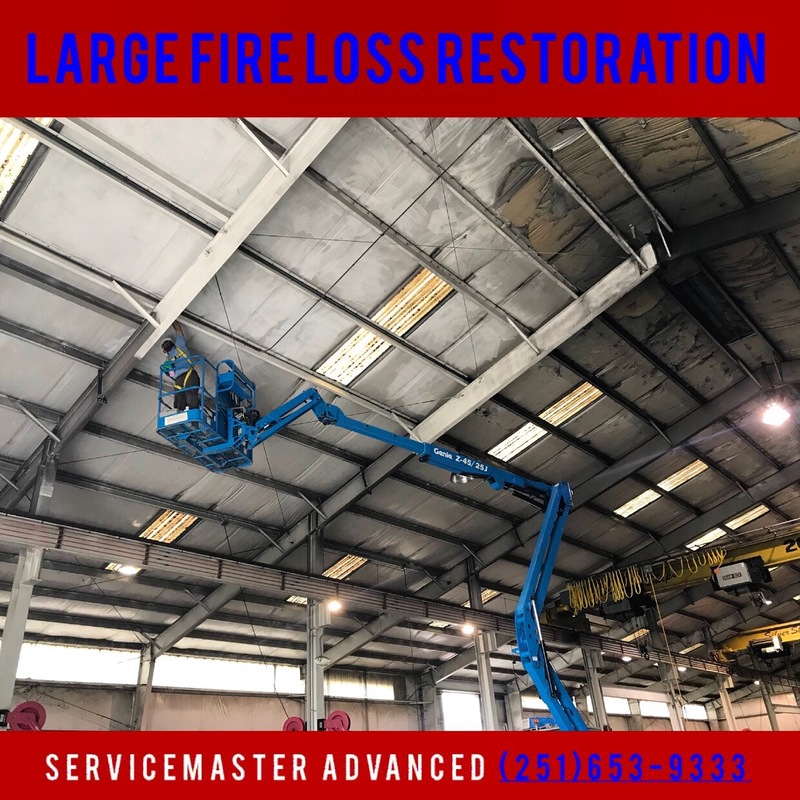 A careful consideration of the materials and surfaces affected will them provide an understanding of the fire’s chemistry and allow for a targeted and informed restoration effort. Use only UL-listed (Underwriter’s Laboratory) or FM (Factory Mutual) approved appliances and tools. Check regularly for frayed or worn power cords or plugs and replace them immediately. Don’t operate appliances, switches or outlets with wet hands. Never plug in more appliance than a socket is designed to handle. Don’t store flammable items near the stove. Turn pot handles inward so that children do not pull them down. Keep fire extinguisher on a wall near the stove. Keep areas around the stoves, refrigerators, and dishwashers clean to prevent dust particles from igniting. Keep trash and other items away from the furnace or water heater, preferable stored in sealed containers. Store gasoline and other flammables in metal containers, away from the house- never near heating equipment or pilot light. In the event that smoke and fire do invade your home, it is important to take the appropriate action to prevent further damage. Here are some helpful do’s and don’ts to aid in the restoration process. Blow off, brush or vacuum loose soot particles from upholstery, drapes and carpets. If electrical service is turned off, clean out your refrigerator and freezer. Leave the doors propped open or place charcoal in the unit. Clean Formica and chrome fixtures in the kitchen and bathroom to prevent [permanent tarnishing. Don not attempt to wash any papered or flat painted walls without consulting your professional cleaner. Incorrect cleaning procedures could compound the soot residue problem. Do not attempt to clean carpets or upholstered furniture. Again, incorrect procedure could increase damage. Do not use ceiling fixtures id the ceiling is wet. A short could result.